New! Make it Market Kit: Fairy Tale Christmas – Coming Soon! Today we have a few sneak peeks of Betsy Veldman’s next Make It Market kit! We hope that you love all of the incredible details as much as we do! The kits as a whole will be exclusive and limited edition. Because of the specialty products they contain, there are limited quantities of the kits. The kits will contain exclusive product that Betsy has designed especially for the kit. The products will not be available for purchase separately, however in a few select cases high demand individual items may be available separately according to our discretion. Promotional team members will showcase sneak peeks of the kit from the 15th of the month up to right before the kit is released. Make sure to stop by our blog and check our social media to see these sneak peeks! They will post their full projects on the last day of the month, with the projects highlighted in the newsletter on the 1st of the month. During the month that a kit is being released, they will be available for sale at 10pm ET on the night of the 1st, with this particular kit being available on October 1st. The next Make It Market Kit will be released on October 1st and it is entitled “Fairy Tale Christmas”. Be sure to join us right back here on September 30th when we share the full reveal of this amazing kit! You won’t want to miss this one! Here are the important dates to remember regarding the NEW! 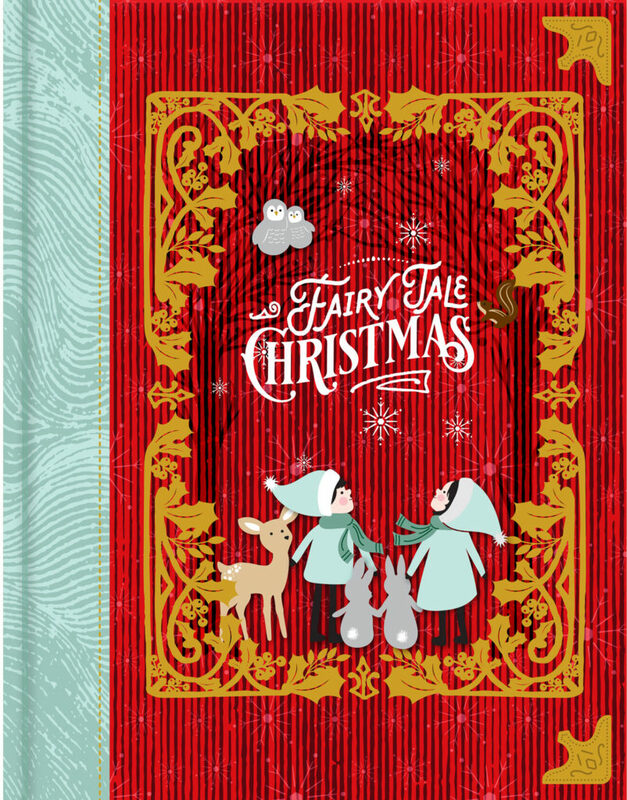 Limited Edition Make it Market: Fairy Tale Christmas Kit! Starting September 15th, 7am ET: Sneak Peeks will start here on the blog (below). Keep checking back on our blog for more sneak peeks that will be happening as the kit gets closer to its release! September 30th, 7am ET: The Promotional Team will be sharing projects on their blogs using the kit. The full kit contents and price will also be outlined here on the blog. October 1st, 10pm ET: The Fairy Tale Christmas Kit will be available for sale on our website. 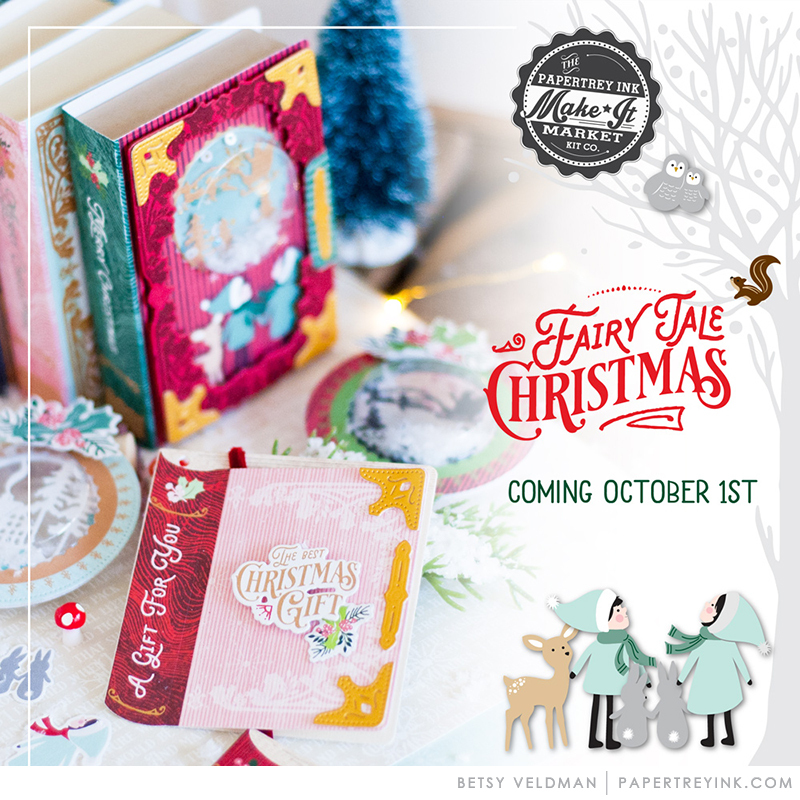 Here is a sneak peek of “Fairy Tale Christmas” from Betsy herself! We look forward to seeing you back here on September 30th when we reveal the full kit AND offer a gift certificate giveaway equal to the value of the kit! What do you think of what you have seen so far in the sneak peeks? We can’t wait to share more of the wonderful details! I own several of Betsy’s kits and each one is special to me. I can’t wait to see this one. The description alone made my heart smile with magical childhood memories! Can’t wait! Cinderella was my favorite childhood story. I’ll be back to see the full reveal of this kit the end of September. This kit sounds amazing I don’t own any papertrey ink products and this would be a great way to start my collection. Can’t wait to see it all. Oh my! I need to get my hands on this kit! I always love the kits you offer, and this one looks fabulous also! I especially love the name of the new “Fairy Tale Christmas” kit! Fairy tales, Cinderella and Christmas, all in one kit!? Another beautiful creation from Betsy, I can’t wait to see (and have) it all! So unique! I love betsy’s christmas kits. Looking forward to seeing more of Betsy’s Fairytale kit. Sounds so magical! Betsy never disappoints. Excited to see all the details and beautiful examples! Due to a changing financial situation I’ve had to curtail most of my craft purchases, but this is one tradition I might just have to uphold. I love Betsy’s Christmas kits and this one appears to be just as special as the others I have. Can’t wait to see more on this and I’m marking my calendar for the 1st of October! Live the children in their winter coats and the forest animals AND the book cover theme! I just love Betsy’s Christmas kits, and I always look forward to them! I can see that this one will not disappoint! I can’t wait to see the rest of the fairy tale!! Oh my goodness!! I know it will be wonderful!! Ooh so sweet! What a lovely Kit! Reading books with the children at Christmas time was always a favorite tradition! Every year my children each chose a new holiday story to add to the family collection. Can’t wait! I love all of Betsy’s kits, and this one looks to be exceptional (all are!) Christmas and sweet fairy tale stories… lovely! Such a pretty set! Betsy always outdoes herself! Betsy makes the most fabulous kits with such amazing detail and thought. Who can resist a beautiful fairy tale!? This kit sounds delightful! Betsy is so right on with her kits! I am really excited about this. I’m chomping at the bit already. Every year I have a different “theme” for decorating my house and christmas tree and I love dreaming up each new theme! Loving the characters and elements showcased so far. I love the book theme! Such a cute concept for a kit! Leave it to the wonderful Becky! Betsy is such a talent! So looking forward to seeing more! Love fairy tales themes and book theme items. The characters look so cute…will look forward to this!! I love Betsy’s kits, as I have quite a few of them. I have never been disappointed with the kits and will continue to purchase them. I always look forward to Betsy’s holiday kits; they remind me of Christmas as a child and “Fairy Tale Christmas” looks to be amazing!!! Can’t wait for all the sneak peaks!!! This kit looks just amazing! I can’t wait to see more sneak peeks! I always wait for her Christmas kit. I have someone who offered to bring me whatever I need (because I’m from Portugal) but I’m afraid that your first stock will end soon and I won’t be able to buy it. Please keep it selling during the year. I won’t mind being it for the next year…! Congratulations Betsy: I think you DID IT again! This is like Christmas before Christmas, and I couldn’t be happier about it! I love Betsy’s Christmas kits! Can’t wait for the sneak peeks. Betsy’s kits are amazing. I own quite a few of them! So cute. This reveal has me wanting more fairytale. Looks like I might need to get excited for Christmas. Very Fun! Can’t wait to see the reveals on the Fairybook kit. I look forward every year to Betsy Veldman’s Make It Market kit. I can’t wait to see this one. She never disappoints. Looking forward to the reveal!!! It’s exciting to see another Make It Market kit being made available. I love Betsy’s kits. I’ve purchased a couple, and have received others as gifts! It’s so exciting receiving high-quality products with great inspirational ideas to have fun with. Can’t wait until the 1st!! Oh, I am so intrigued….I have never seen one of these kits….so …now you have me wanting to see more…..I will continue to see more of the kit contents……and then Hope that I can afford it…..thank you so much for this sneak peak….. I think Betsy has created some of the best, most unique and beloved kits ever! This looks magical and I can’t wait. Bravo, Betsy! I love Betsey’s designs! I think this is another kit I must have. Love to see what Betsy has designed! Taking one of her kits to a crop tomorrow! Will be fun to play with her designs and see friends from the scrapbook store. Hopefully you order enough kits. So they don’t sell out in the first night! I have several, maybe all, of Betsy’s Christmas kits! Love seeing the sneak peaks! I just Love Betsy’s designs, I can’t wait to see more! So excited to see Betsy’s newest Christmas kit! I love Betsy’s Christmas kits and am looking forward to the new one! Such creative talent. Betsy’s creations are always so inspiring. Love what I’ve seen so far. Anxious to see the rest. Looks like a must get kit. ❤️👏🏽!!!! I love everything about this kit, and I have projects swirling around in my head already. Absolutely LOVE these kits. But it always seems I see them afterwards and search for them and find they are out of stock. I plan on doing it differently this year. PTI is among my favorite stamp companies and I can not wait to make craft fair items using this kit too! Oh…so excited to see this new kit…looks so fun and sweet can’t wait for the full reveal! I can’t wait to see Betsy’s new kit. So fun having little sneak peaks every day! It looks simply enchanting! Wow! This does look like a real treasure trove for Christmas crafting. AHHHH-MAZING!!!! Can’t wait to see the rest of this kit. Hats off to Betsy. You are soooooooooooooo talented! I agree Pre- Order would at least give them an idea of how much interest so slower server areas dont get left out. Worst computer system ever for such a quality company otherwise. So frustrating. I’m really loving the kids and animals. It’s very different from everyone else. It’s different and awesome. I cant wait to see more. Thanks alot making me go crazy to see more. Anything Betsy is worth getting. So looking forward to seeing this kit in its entirety! I can’t wait to see the full reveal because this little glimpse is already tugging at my heartstrings. This month’s release is my first PI purchase and I’m so excited to see it’s on it’s way and will be here on Saturday. So I am putting a reserve on Sunday to play with my new treasures and make stuff all day long. Always look forward to Betsy’s Make It Market Kits. This one looks fabulous already. Can’t wait to see the complete kit!!! Can’t wait to see more! This kit looks magical! I am going to freak out if those little people are stamps!! SO CUTE!! Thank you for the great birthday present! (My birthday just happens to be 9/30) WOOHOO!! Oh my goodness! How does she come up with such wonderful kits??!! Love what I can see already! Can’t wait to place my order!! Love it. I can’t wait to add it to my collection of Betsy’s kits. I’m so excited about this release. Christmas is and always will be magical! I love Betsy’s kits. I have several of Betsy’s kits and I love them all. I love all the sneak peek so far! Can’t wait to see the whole package! This looks so beautiful, I can’t wait! So cute what I have seen so far, very excited to see the whole kit!! I can’t wate to see the hole kit! I do not owne any papertrey ink But this kis looks GREAT!!! These images are just precious! Can’t wait for the first. Papertrey never ceases to amaze me. This preview is beautiful! I can’t wait to see the entire set. Ok…I have said it before, and I will say it again….SO TALENTED !!! I have all Betsy’s “Make it Market” products since I discovered Papertrey Ink, many years ago. This company has SOOOO many TALENTED Designers !! I love this new one! “Fairy Tale Christmas” How stinking cute !!! I can’t wait !!! I have every single Christmas kit and can’t wait to see the full reveal of my new kit! Loving what I’ve seen so far! Oh boy! So excited from what I see here! I’ve had a dozen nearly identical emails in the last week all promising a sneak peak of this collection and all delivering absolutely nothing. Overkill, not to mention annoying. Looking forward to seeing the whole kit! I am new to papertrey ink kits just got my first one a few months ago and have really been enjoying all the creative possibilities! The book boxes in this kit are adorable. Look forward to seeing the full kit and all the wonderful gift giving possibilities it has to offer. Betsy you are amazing! I really love some of the new sneak peeks sor far. Betsy’s kits are fabulous! I can’t wait to see more! really looking forward to the 1st so I can see more – this waiting is painful! I’m eager to see this more projects from this kit. More samples ahead of time would help prospective buyers make a well thought out choice to buy, rather than an impulse purchase for fear of the kit behing sold out. Sneak peeks should include a little more eye candy and details. On the flip side, this kit does look adorable! I agree to PRE_ORDERS too !! I had to place 3 separate orders and ended up without a few stamps I wanted because it kept saying it was gone. I got on the second order and it was there to order. So I tried to order again, and it went back to “Notify Me.” Then on the third order, it didn’t say, “Notify Me.” I ordered the items, and it didn’t show up on the 3rd order I placed. So I waited till the next day and it was still there to order, and I was so frustrated. Then I emailed you the day after, to add them on, and you said the order had been shipped. I know you guys are working on this, but please consider the PRE_ORDERS…please !!! Oh how sweet! LOVE all of Betsy’s kits and stamp set! Her creative talent is exceptional! This Christmas and fairy tale stories idea for a kit is lovely. Can you please tell me the price of this Kit??? I LOVE this !! I must have this !!!! All of the kit details, including the price, will be shared on September 30th. Check back here then! Can’t wait to see the full kit! I love the Christmas kit! I can’t wait to get my inky little fingers on this one. I’m very excited to see the entire kit. It looks fun and different from other kits that I’ve seen. It has a very creative touch to it. Love the possible old world look for this release. Very nice. I can’t wate to see all of the kit!! I love what I’ve seen,and brings back so many good memories!! KEEPCRAFTING!!!!! I can’t wait to get a full look at this kit. The glimpses I’ve seen so far are amazing!! Can’t wait to get my hands on this kit!! I hope you have oodles of them!! I’ve been anxiously waiting to see more of the team’s creations tomorrow. Betsy’s kits are always amazing and the peeks have all been so tempting! Can’t wait to see the full reveal. I bought last years kit and I am sure I need this one as well.